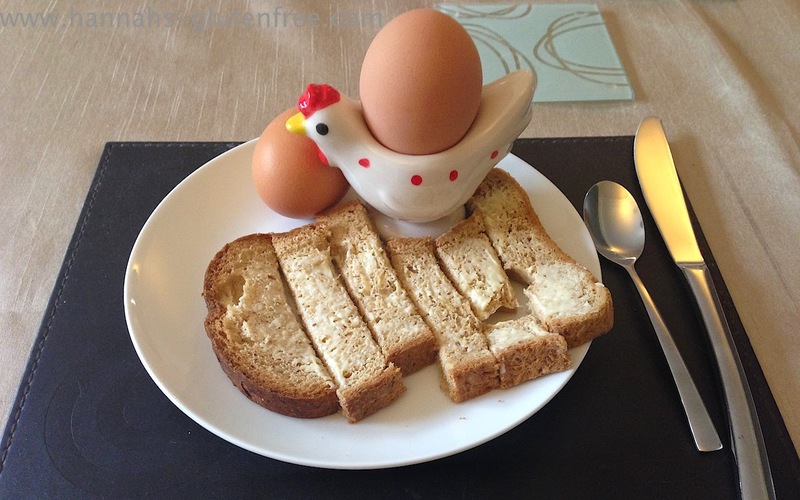 Hannah's Gluten Free : Things I miss being Gluten intolerant! I like to keep this blog a happy space where I share the joy of finding great free from products and advising on products I don't enjoy as much! But I never say sometimes how grotty being gluten intolerance when you get a craving and you just can't find a free from version! I know many things I could make myself and I do when I have the time, but sometimes you just want to be able to pick them up and not have to worry if you have all the ingredients, enough time to make them and if they will turn out ok.
Random picture of my Breakfast as I cannot do a post without a photo! So today here is the top 10 things I miss. These are one thing I really miss around Christmas. It was the only time of year other than the occasional summer holiday we would have one. But Christmas is just not the same without one! Quavers were always my crisps of choice (no wonder I was always ill!) but I have yet to find a free from alternative. Wotsits are gluten free which is a god send as I love them but quavers are not and I really wish we could have a gluten free version as I do really miss them! Another food I associate with Christmas and parties. The smell of frozen cocktail sausages cooking at my Gran's house is the start of Christmas to me, so not being able join in and pick any up in the shops is torture! Chinese is one of my favourite types of food, so being gluten free and wanting Chinese is bad all round! I miss chow Main a lot! The noodles are my favourite and I also miss prawn toasts and all the filo pastry snacks! For obvious reasons these are not gluten free, but I did used to love them, particularly the mini ones with chocolate chips in. I am waiting for the day of gluten free oatibix! There is not a better smell in life than freshly baked bread. So for obvious reasons, when I am by a bakery and all the cheesy rolls, tear and shares, cheese straws and crusty rolls are still warm and smelling amazing I become so jealous of everyone else picking them up for their lunch! These are my one greatest love in life, Doughnuts are my world, many a time before knowing I was gluten intolerant I would hunt down a shop for a raspberry doughnut. To this day I have still not got hold of a free from alternative. I know DS do a quiche but it can be hard to locate. Also personally my favourite flavour was feta, broccoli and spinach which I used to buy from the Morrison's bakery. I know I could and really should make one myself, but buying a single slice for lunch was so handy! Another product DS has just released, but the chicken kiev I am thinking of is the ones we buy from our butcher. The bone is still on which makes the chicken is so juicy and the garlic butter oozes into the bread crumbs. It was by far my favourite meal and I have yet to find anything since that could even compare slightly to this. The day Mcvities decide to create a free from range, I'll be the first one in line! The dark chocolate and dark and caramel digestives used to be one of my favourite treats. I love how the dark chocolate has a slight more of a snap and the caramel is thick in texture but isn't too much of it. All These products I really miss and would love to know if you have found alternatives to these! Is there anything you just can't replace on your free from diet?